Aid agency CARE International has been using global positioning system technology (GPS) and Google Earth to help staff relocate displaced people and refugees. The technology is used all over the world to help find suitable locations for temporary refugee camps, as well as locations for people to permanently resettle on. 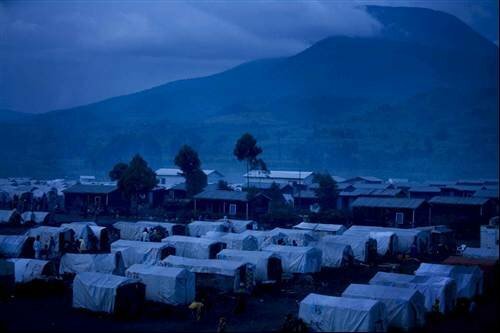 Above is a refugee camp in the Goma region of the Democratic Republic of Congo, one of the countries where the technology is helping.